The issue of immigration and migration policy has always been widely discussed and scrutinized. It is no wonder many students are assigned argumentative essays on immigration. It is a highly controversial issue that allows learners to showcase their writing and argumentative skills. If you are having trouble completing this assignment, RocketPaper is here to help you out. We have prepared a comprehensive guide that will tell you everything you need to know about an argumentative essay concerning immigration. Whether you have to write an essay about illegal immigrants for your History, Law or Economy class, you will need a high grade to stay in your professor’s good graces and avoid failing the course. There are several key ingredients to an A-worthy essay many students forget. Use these tricks to ensure the highest grade and a perfect record. There are many aspects of the problem you can discuss in an argumentative essay on the topic of immigration. The process of illegal migration causes changes on a multitude of levels, and you can either create an overview of them or select one of them and analyze it more deeply. Economic growth due to the increased number of workers willing to take on the menial jobs. The increased unemployment rate among the citizens due to the influx of cheap workforce. Heightened levels of racial tension caused by the deportation and harassment of minority ethnicities tied to the illegal immigration. The crime levels among illegal and legal immigrants and their influence on the overall safety of the community. The possibility of interracial relationships and the enrichment of the gene pool. The equal education and employment opportunities for immigrants and native citizens. The strain of the social security system caused by the increased population numbers. If you can’t make up your mind, consult your instructor. Find out which topic would be the most suitable to discuss in your writing assignment. Your illegal immigration essay introduction should contain several essential ingredients to make a good first impression. First, introduce a hook to grab the readers’ attention and generate interest that will keep them glued to the paper. A hook can take on the form of a surprising statistics or a short story, a fact or a quote. It should evoke strong emotions, catch the readers unawares to make the most substantial impact. Another integral part of an illegal immigration essay introduction is a carefully-worded thesis statement. It should mirror your paper’s outline, presenting your firm stance on the issue of immigration. There is no use trying to please the opposing sides, so you should pick one side and outline the most convincing arguments to support your thesis. Include the critical points of the essay into the introduction. This will allow your professor to get a good idea of the paper in one short paragraph. In between the hook and the thesis, illegal immigration essay introduction should contain several building statements. They will bridge the gap and create a logical transition from an attention-grabbing first sentence to the main ideas of the paper provided within a thesis statement. Illegal immigration essay introduction and conclusion mirror each other, though the last passage is usually shorter. It should rephrase the thesis statement, provide a quick overview of the central points and include one final thought. The main faux pas many students perform is repeating the thesis in the conclusion verbatim instead of restating it using different words. The bulk of your argumentative essay on immigration will consist of the main body paragraphs. There might be only three of them if you are assigned a five-paragraph essay, or there can be more if the prompt requires a more extended response. To make the piece logical, construct each paragraph around one argument. Each section should include a topic sentence, supporting sentences and a short interim conclusion with a transition to the next idea. Do not try to mash different ideas into a single paragraph, as it will make your paper seem sloppy and rushed. Instead, devote each passage to a single argument. Place your most convincing arguments first and last, while discussing the weakest ideas in the middle. This order will have the powerful impact on the reader, as human psychology ensures we remember the first and last parts of the argument best. Unless an argumentative essay on immigration is an in-class assignment, you should conduct careful research to support each of your arguments with evidence. Otherwise, your paper will look weak and unconvincing, hardly worthy of an A. Select credible and up-to-date sources, written by experts in the field. Avoid biased publication online and always fact-check articles from Wikipedia and similar sources. Instead of structuring your essay around sources, divide your books and article according to your arguments. You can provide two or more supporting references for each of your passages. Make sure to properly introduce the source, present a brief quote or summary and citation. Do not forget to analyze the evidence and explain how it backs up your claims. Unsubstantiated claims will not make your essay about illegal immigrants any more persuasive. If you have ever seen a debate, you know how easy your opponent can refute each statement. You won’t get a chance to communicate your point outside of the format of the argumentative paper on migration. That is why you should use the opportunity to refute opposing claims in writing. This will make you argumentative essay more convincing. If you avoid counterarguments like the plague, it will raise doubts about your ability to refute them. So make a preventive blow at any opposing positions and devote one paragraph to addressing alternate views. Make sure there are credible sources and research to support your counterarguments. This way you will nip any opposing arguments in the bud without getting overly confrontational. Your professor will appreciate the effort you put into writing the paper. When you are in a hurry to complete the immigration argumentative essay assignment in time for the deadline, it is incredibly tempting to skip proofreading altogether. Still, it is an important step to take if you aim for the highest grade. You would be surprised how many small mistakes and typos get passed the most accomplished writers on the first go. The best thing you can do is give yourself a day to concentrate on other assignments. When you feel refreshed, come back and read the paper carefully. Make sure the main points of your argumentative essay on immigration are arranged in a logical order and well supported. The editing requires you to look for flaws in your reasoning while you still have enough time to make a few adjustments. Proofreading is tricky since your brain tends to skip small typos and errors. Try reading the paper upside down or backward to check for spelling and grammar. Read the paper aloud and concentrate on every word, comma or semicolon. Better yet, ask one of your friends to take a quick look. They will have a better chance of catching glaring mistakes you can’t notice within your writing. If you need to write an argumentative essay on immigration, but don’t have the time or energy to do it on your own, you have found the perfect place. RocketPaper is an excellent service to purchase top quality essays about migration and associated issues. RocketPaper is an experienced provider of essays about the causes and effects of immigration. The immigration argumentative essay is prevalent on all educational levels, so we assist both high school and college students. With us, you will get a qualified and timely help whatever your educational level is. Argumentative essays about immigration has been one of our most sought assignment for years. Students of various majors from all over the world have appreciated our help. We have gained a reputation for being a dependable academic assistance service due to our diligence, professionalism, and writing talent. Just like thousands of students who use our services every day, you will love the essay you order on our website. And here is why. Immigration as a phenomenon is versatile, complex, and broad, so students often struggle with this research field. To ensure the paper’s quality, it should be the work of professional writers. Our company employs many accomplished researchers, and they will gladly assist you. All our writers go through a severe competition aimed at evaluating their writing talent and skills. They have to prove they are experienced and trained enough to deal with an argumentative essay on immigration and other challenging assignments. This multiplies your chances of getting a high grade and uphold an excellent reputation in class. You always get a world-class essay writer dealing with your paper. An immigration argumentative essay can cover many aspects. Our writers will discuss the economic advantages that immigrants bring. Or they will argue the loss of workplaces for local citizens. Just specify the position you would like the writer to take, and relax knowing that it will be thoroughly researched and beautifully written. In your argumentative essay on the issues of immigration, our writers will convey a detailed survey on the topic (especially a paper on immigration reform, its background, and outcomes) to make it reliable. The subject of your assignment could be quite broad or narrow, an easy one to cover or hard to deal with. But no level of difficulty is an obstacle for our professionals, we assure you. There are hundreds of websites and online agencies where you can buy papers for high school, college or university. Unfortunately, you put your money and reputation at risk when choosing an untrustworthy writing company. Too many of them provide low-quality papers or outright steal the clients’ money not even bothering to produce results. The services RocketPaper provides are always of excellent quality. 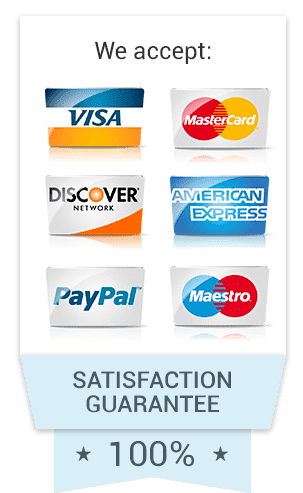 We secure your online orders with guarantees. Your argumentative essay on immigration will be accomplished by a professional writer with years of experience in the academia. You will get a high-quality fully-developed and carefully-structured paper. There will be no punctuation, spelling or grammar errors. Not a single typo will escape unscathed. You will get an immigration argumentative essay that meets all requirements of your instructor. You will get a paper of a required format, paging, and citation style. You will enjoy our renown quick turnaround. You will get the paper well before the deadline. There will be no more troubles with missing the submission date and disappointing your instructors. Your essay about illegal immigrants will be 100% original. Our essayists always create the clients’ papers from scratch. There is no chance of you getting a plagiarized paper written by someone else. Our writers produce and develop fresh ideas to make your essay is original, authentic, and perfectly safe. To ensure your peace of mind, we conduct additional originality control using special software. You can expect your paper to be written according to your requirements. Still, if you find any fault with the preview version of the essay, just send it for revision and specify the problem. Your assigned writer will complete the revision for free and provide the improved version of the paper to you in no time. You can also rest assured that no one will ever find out about the order you placed with us for an argumentative essay. We have a strict confidentiality policy and will never disclose the details of your purchase to a third party. Getting your argumentative essay on immigration done by our experts is quick and easy. Just fill in a short order form, provide any details you deem necessary, and relax. 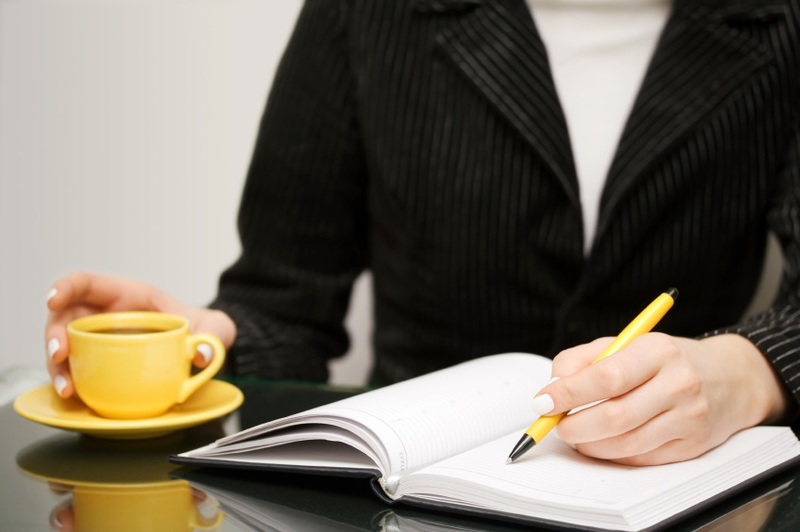 The writer will conduct research, take notes, write and proofread the paper for you. You can even leave the topic of the essay to writer’s discretion if one was not specified in the prompt. You can trust our writers to do their best and provide flawlessly written paper every time. Give it a try!